Want a Change of Scenery? Try Our House Clearance Services in Chiswick! Items that have been left in cupboards, shoved into the corners of rooms, tucked away in chests of drawers – sometimes Chiswick house clearance needs to be thinned out, and that's hard to do. Not only is it sometimes hard to be ruthless at times like these, but it takes a lot of work and planning to get everything shifted. There are professional property clearance services in Chiswick that can lend a hand though. Here at Rubbish Removal Chiswick we offer house clearance services that are local to Chiswick. 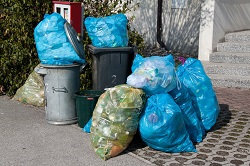 We'll help with your personal clear out by taking care of the hard part – the waste disposal. You won't need to hire a skip or a van to get rid of everything yourself, we'll handle it all. We'll dispatch a team of uniformed professionals who've done this type of job many times. These experienced and well mannered waste clearance specialists will handle the heavy lifting and transport so you don't have to. On top of that, we make every effort to ensure everything is disposed of in an eco friendly manner. Recyclables will be recycled, and reusables will be put to better use. We divert as much rubbish as possible from landfills. Another benefit to our house clearance services is just how easy they are to hire. We take every possible step to organise our trips around you and your schedule. Need us to show up in the evening or on weekends? We will do our best to accommodate. Contact us on 020 8396 7158 to learn more, or to hire our home clearance services today! We offer both full home clears, or partial clears, so if you're just looking to clear a single room that's no problem at all. No job is too large or too small. We understand how hard it can be to let go of certain items, so we provide our services with a level of respect. It's hard to make difficult choices sometimes, we understand perfectly. This level of tact and quality is one of the many positives that set us apart from other W4 based service providers. Quality assurance comes as standard here because we've taken care of many similar jobs in the past. You learn through experience, and everyone in our employ has plenty of it. That's not to say our house clearance services in Chiswick W4 are overpriced to compensate though – not at all. We believe that high quality services should be available to everyone, so our prices are more than reasonable. So you can add affordability to the many advantages that our Chiswick based rubbish removal services can provide! Book Chiswick House Clearance Service Today! If you live in or near to the W4 area, you may benefit from a professional home clearance, courtesy of Rubbish Removal Chiswick. All it takes is a phone call, and you'll have access to a complete (or partial) house clearance. Whether you want a single room clearing for re purposing, or the whole house cleared to sell on, or for whatever reason you may have, you'll find some value in our services. Our friendly call centre staff are available seven days a week to take your queries or to book appointments, so call us on 020 8396 7158 today. We can even provide a no obligations price quote on all our house clearance services in Chiswick – that number one last time is 020 8396 7158!